Schizophrenia is a mental health condition that impacts about 3.5 million people in the United States and is best recognized as being associated with the experience of psychotic symptoms. People with schizophrenia experience symptoms that can make it difficult for them to determine what is real and what is not, blurring their lines of reality. People with schizophrenia can struggle with a variety of symptoms over the course of their condition. Symptoms can shift and change, increasing and decreasing in severity. Some of the key elements of schizophrenia involve psychotic symptoms such as delusions, disorganized speech, hallucination, negative symptoms, and catatonia (other behaviors that could be considered abnormal). When someone holds a false belief that can't be explained by the patient's culture or their educational background, it is referred to as a delusion. A delusion is more than someone having a strong opinion. It is a fixed belief that, no matter how much energy other people use to try and convince them otherwise, an individual still holds. Even when faced with refuting facts and supporting information that would directly challenge his false belief, he remains unchanged. A hallucination is another key element often found with schizophrenia and refers to sensory perception, such as a sound, touch, visual image, or smell that a person experiences when there is no related stimulus around. This is referred to as a false sensory perception. For example, this could be seeing a dead animal on the floor that isn't actually there, feeling something touch your arm when there is nothing around, or hearing someone speaking when you are alone. The most common hallucinations involved sound and visual hallucinations (seeing and hearing things that are not there). In order for a hallucination to be considered a symptom of psychosis, they must be experienced while a person is awake and fully alert. Someone can experience disorganized speech even if they don't experience hallucinations or delusions. Disorganized speech involves speaking in a way that is not governed by logic or seems to make sense in conveying a particular point—also referred to as loose association. For example, someone might answer a question in rhymes or using a certain pattern of sounds, without seeming to have a clear answer to the question at all. This is different than someone stumbling over their words or getting confused during a train of thought. People can experience those things once in a while and still be understood by others. With disorganized speech, the impairment reaches the extent that they are not understood and it interferes with their communication with others. Also referred to as abnormal behavior, these are physical actions and movement that do not seem to have a particular purpose or goal. An example of this might be an outburst that doesn't seem to be prompted by anything, a repetitive movement of the hand on the face, wearing clothes that do not seem to be appropriate for the weather, or suddenly taking off clothes in public. There are a variety of things that could be observed as disorganized behavior, and it is fair to say that sometimes people engage in strange behaviors who do not have schizophrenia. Therefore, it is important to take all information into account when reviewing symptoms. Disorganized behavior is most often associated with catatonic behavior, meaning a reduction of movement that can look like no voluntary movement at all for a length of time. This term can be confusing because people often think that these behaviors have some kind of negative value or outcome. When discussing negative symptoms related to schizophrenia, we are actually talking about aspects of the person that seem to be decreasing or going away. Whereas some of the other symptoms are the introduction of new things, negative symptoms are things we can observe in the person that seem to be duller or happening to a lesser degree of intensity than before. Since some of these negative symptoms could be due to other things like stress, depression, fatigue, or drug use, it is important to consider these behaviors in relation to the other symptoms one might be demonstrating. As with other conditions, there are certain clinical criteria that must be met in order for someone to be diagnosed with schizophrenia. Over the years, there have been changes made to the diagnostic criteria for schizophrenia, with the most recent change being the removal of particular subtypes of the condition. The Diagnostic and Statistical Manual, 5th edition (DSM-V) is the manual that clinicians reference when diagnosing mental health conditions. Prior to the DSM-V, there were subtypes of schizophrenia identified that were intended to help clinicians provide personalized treatment based on the person's specific symptoms of that subtype. However, over time, it had been noted that these subtypes were not helpful to clinicians and that people with schizophrenia can have symptoms that change during the course of their illness. When the DSM-V was released in 2013, the subtypes were removed, but they are still of interest today. Schizophrenia is a complex condition, one that professionals argue is a collection of symptoms that can present in different ways. 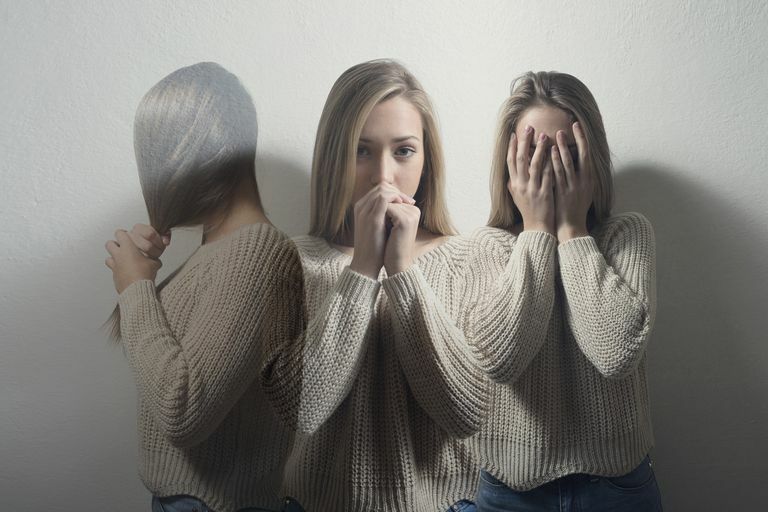 Although the five distinct subtypes are no longer used in the formal diagnosis of schizophrenia, they continue to be a topic of discussion to help understand symptoms and learn more about the range of experiences someone with schizophrenia can have. Since the lines of reality are often so blurred for folks with schizophrenia, understanding the subtypes can give a peek into the more commonly known experiences that people with the condition might go through. A paranoid delusion is a belief that one is being followed, drugged, spied on, or that one is a target of harmful behavior by others, for example. Understandably, holding these beliefs can make living daily life quite challenging. People who struggle with these particular symptoms of paranoia often find it difficult to make and keep friends, maintain employment, or do things outside of their home. In an attempt to protect themselves from perceived danger, they can often isolate themselves and become homebound. Disorganized schizophrenia involves someone experiencing disorganized speech, behavior, and expression of emotions. The term "disorganized" loosely means that it is disassociated or unclear to others. When we talk, we form words to make a sentence that is intended to convey a particular point. For those with disorganized speech, the words do not necessarily make sense in the order they are being said, making it difficult to understand and interpret. Behaviors can be disorganized as well, involving things like repetitive motions, twitching movements, and other behaviors that appear to not be focused toward an intended goal. Although many people can find themselves behaving in a way that does not make sense sometimes, the way we view disorganized behavior with schizophrenia is in a way that has no intended purpose and can get in the way of the person being able to function well in daily life. Disorganized expression of emotion refers to ways that a person might show emotion that does not seem to make sense to the situation or interaction. For example, they might laugh at something sad or traumatic, or have little to no expression when a heightened emotion would be fitting such as excitement or surprise. People with inappropriate affect might also demonstrate an inability to maintain eye contact when interacting and shy away from interpersonal interaction when possible. People within this category may demonstrate elements of symptoms present in other subtypes, but not sufficiently enough to be considered for distinct placement in one particular subtype. The behaviors may be milder, not fully formed, or not quite as observable and therefore, did not clearly meet the diagnostic criteria for one of the other three subtypes. Another reason someone may have been considered in the undifferentiated subtype is that their symptoms could change over time. In fact, because the symptoms can vary throughout the course of the condition, these distinct subtypes were proving to be less helpful than previously thought, and they were eventually removed from the DSM-V. It is suggested that, in this subtype, people with schizophrenia would show a reduction in the severity of their symptoms. The symptoms would not be gone but could lessen in their presentation or be more dormant. As with the type of symptoms shown throughout the course of the condition, the severity or the degree to which someone demonstrates symptoms can change over time. This is a condition wherein a person does have the basic symptoms of schizophrenia but has been ill for one to six months. For someone to have schizophrenia, they have to experience their symptoms for a minimum of six months. So in this case, the difference is not in the symptoms but in the time period during which the symptoms are experienced. In order to be diagnosed with this condition, in addition to having experienced basic schizophrenia symptoms for at least one month, the person must experience prominent symptoms of mania or depression. So, there is a mood component related to this particular condition as well as experiencing the symptoms of schizophrenia. Schizophrenia is known to be complex in terms of symptoms and diagnosis, which is why the mental health community has made it a priority to be as clear as possible in their description of the diagnostic criteria in the DSM-V. Understanding the previous classifications of schizophrenia, however, can help familiarize us with common symptoms of the condition.